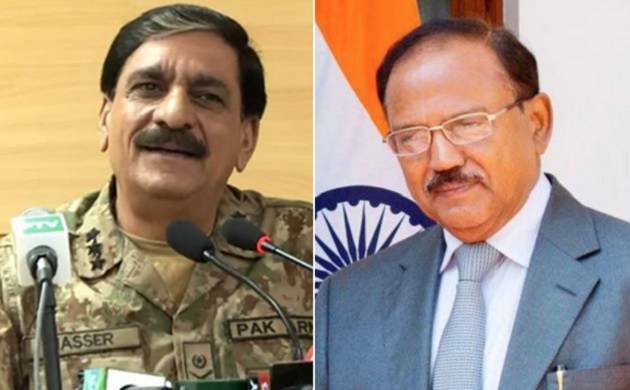 A Pakistan’s national security division official, on the condition of anonymity, said the meeting between Pakistan’s NSA retired Lt Gen Nasser Khan Janjua and Doval took place on December 27 in Thailand, ‘The Dawn’ newspaper reported. National security advisors of India and Pakistan held a “secret” meeting in Thailand where the tone and tenor of India’s NSA Ajit Doval was “friendly and positive”, a senior Pakistani official said on Friday. “The meeting was good. Doval’s tone and tenor was friendly and positive,” the official disclosed. The official maintained that he was briefed about the Indo-Pak meeting. He was told that the meeting was “useful”. The report also quoted the official as saying that the interaction might help in restarting some sort of engagement at the diplomatic level as well. However, there was no word -officially or unofficially - from the India side. The meeting, which appeared to be pre-decided, came two days after Indian death-row prisoner Kulbhushan Jadhav met with his family on December 25 in Islamabad. The Jadhav-family meeting became latest flashpoint in already strained Indo-Pak relations with Pakistan terming its decision to allow Jadhav’s family to travel to Pakistan to meet him as humanitarian gesture and India accusing it of violating mutual understandings. New Delhi also hit out at Pakistan, asserting that the Indian national appeared coerced and under considerable stress during the tightly-controlled interaction and also accused Pakistan of disregarding cultural and religious sensibilities of family members under the pretext of security. Jadhav, who was captured in March last year, was sentenced to death by a Pakistani military court for alleged spying, an accusation that India has dismissed as concocted. New Delhi says Jadhav was kidnapped in Iran where he had legitimate business interests, and brought to Pakistan. To save Jadhav, India moved the International Court of Justice, which ordered Pakistan in May to stay his execution. It was not the first meeting between the two NSAs in a third country. In December 2015 also, the two NSAs, along with the two foreign secretaries, had met in Bangkok, which was not revealed from both the countries till after the meeting.